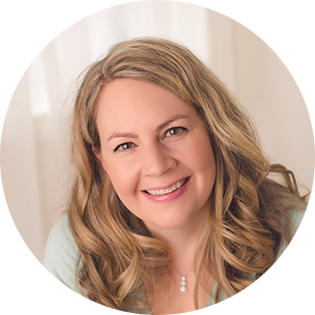 With a fresh new year upon us, I’m excited to be bringing you some resources and inspiration to help you make this THE year that you meet your homekeeping goals. Follow along on Instagram and get ready to make January a month of fresh starts and attainable goals. I’ll be doing a declutter challenge for the month of January. First things first, let’s get a cleaning routine system in place, shall we? 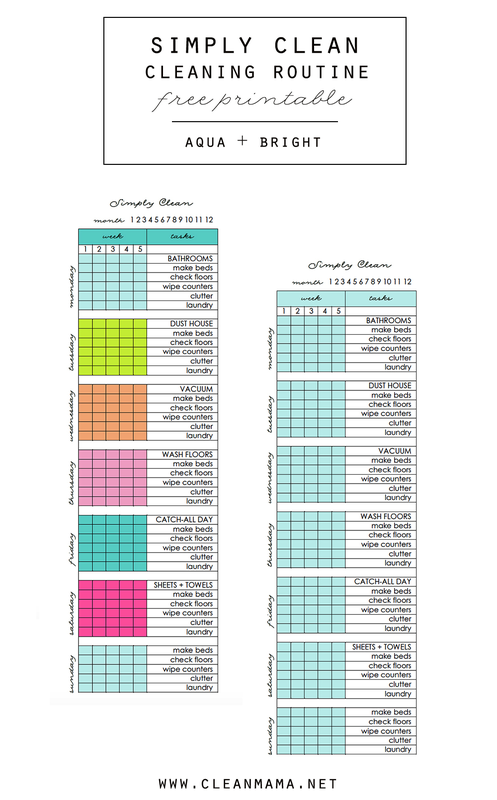 One of my favorite tools is my cleaning routine at a glance printables (you can find them here) but I’m thinking that it’s time for a new one. Print it out, trim it to size, laminate it if you’d like to use it month after month. 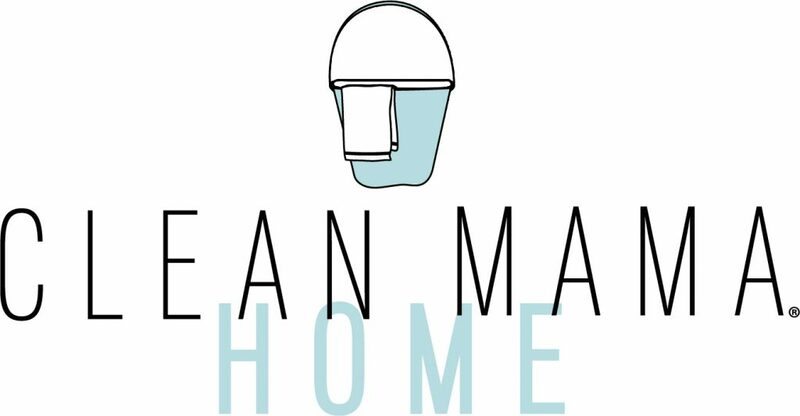 New to my cleaning routine or Clean Mama? Go here for more information and to get started. Not ready to start thinking about a fresh start for the new year? No problem, pin this post or print out the free printable and you’ll be all set when you are ready! 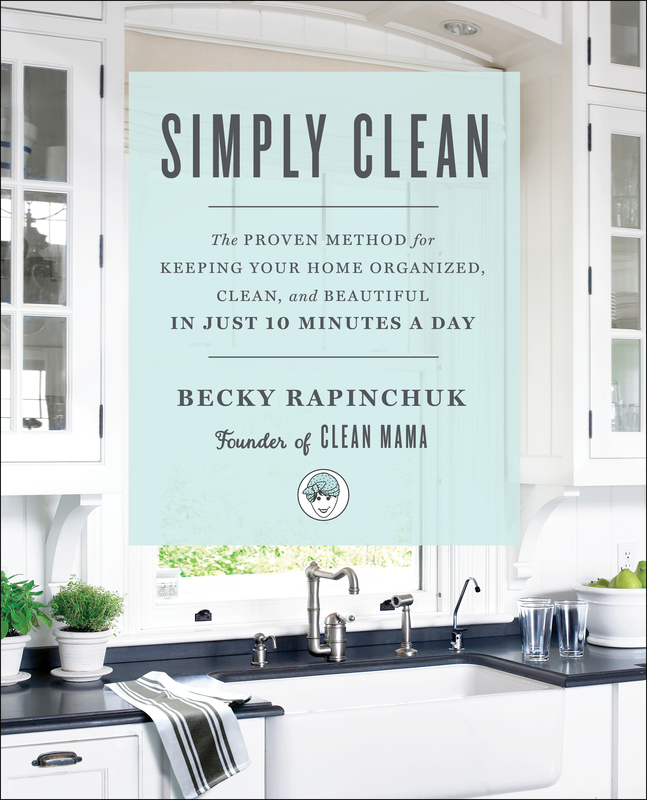 Have you pre-ordered my NEW book Simply Clean? Thank you for these printables….I am so ready to “get my house in order” in 2017. I’ve been in a 2 year depressed slump and my home, finances and body show it—I’m an only child who lost both her parents 6 days part two years ago. I’m still grieving but can’t go on the way I have been. I owe it to my family and myself….I look forward to the journey ahead. I’m so sorry for your losses Kathy – blessings to you in 2017! I’m so sorry, Kathy. I can understand the time it has taken to begin to pull through. That sounds awful. I wish a healing and happy/happier year for you. 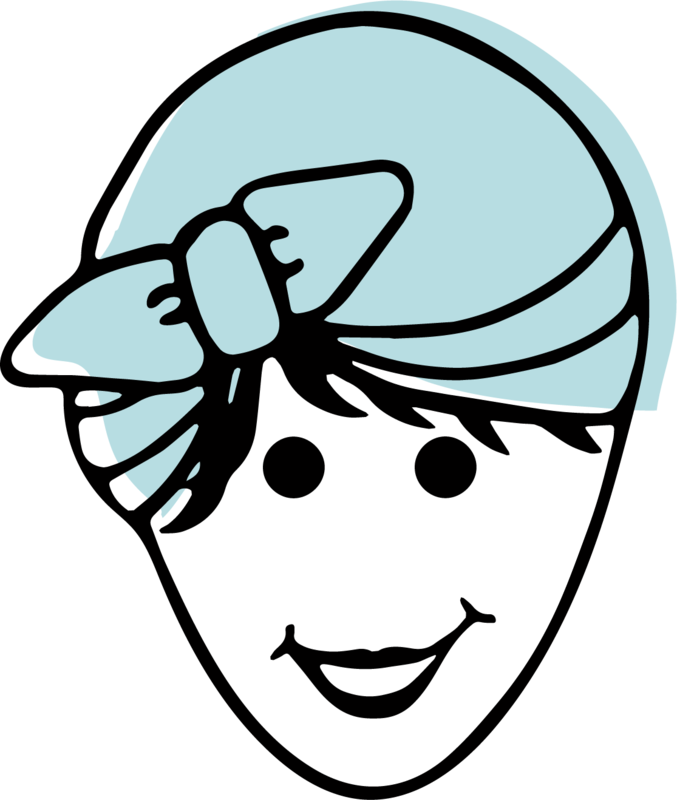 I must be doing something wrong because I’m not succeeding at downloading your new printable cleaning schedule. I’ve added it to my cart but I can’t find where it went on my iPad in order to print it! I work long hours from 7:30 to 7:30 mon thru fri and on Sat 9-4. Is there a cleaning schedule for me? I usually try to clean and get caught up on Sundays. Any suggestions? Thank you so much for sharing this! I’m a “list” person, and love this format. I was hoping to find something exactly like this to keep my home tidy & in order. It’s going on my frig right now! Is it possible to get these mini forms as blank so we can type in our own routine into your very lovely format? That would be just perfect. So would it be possible to get a version with bigger print? I downloaded this printable and I LOVE it (thank you!) but it’s just so small. Maybe my eyes are going bad (but I’m only 27?). Help, please? Thanks, Becky. The problem is that when I do it that way, the print is fuzzy cause it’s just blown up. Instead of being clear and beautiful like it is in the original that’s much smaller. Are you printing from the pdf? I’m wondering if you might be in preview…..
No, printing from the pdf, there is no way to adjust the preferences and make it larger. I’ve tried and tried. I can send you screen shots of every single option I have. There just aren’t any. 🙁 Maybe I don’t have the right program? What does CATCH all day mean please??? Not downloading printable on my iPad. Will sheets like these be in your new book? I preordered it – very excited! Do you have iBooks? Try opening it in that. Simply Clean is full of checklists!